Emirates is one of the world’s fastest-growing airlines. Based in Dubai, Emirates connects people all over the world to a network of over 150 destinations. 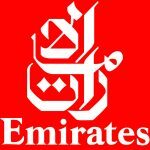 Emirates’ superior on board products and services, welcoming cabin crew and modern all wide-body fleet are world renowned.